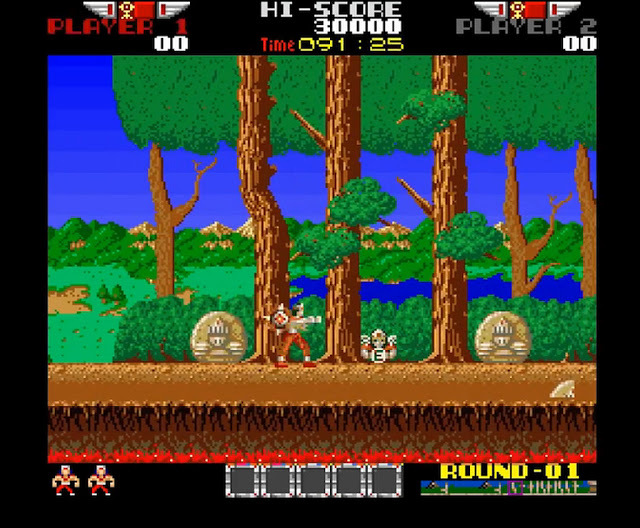 Indie Retro News: Rygar AGA - Tecmo's Arcade game as an Amiga port with new sound effects! Rygar AGA - Tecmo's Arcade game as an Amiga port with new sound effects! It's a late one here in the early hours of a Wednesday morning, but that didn't stop us from writing about the latest Amiga news, which as you guessed by the image above, it's about Rygar AGA! Yes indeed this upcoming Arcade port of a game released in 1986 and appearing on multiple systems such as the Sharp X68000, C64, ZX Spectrum, NES, Master System and yes even the Lynx. Has once again made an appearance on Indie Retro News, but this time with most of the required sound effects added that were missing in the earlier versions! As we said before when we first showed this upcoming game for the Amiga by Graeme Cowie, the same creator behind the most excellent Bomb Jack Beer Edition. It was mearly a long scrolling platformer, with backgrounds, themed levels and also an improved UI screen. But now as what can be seen in the video above, Rygar AGA now has animated lava, water effects, power ups, enemies, and even sound effects. Although on a downside the developer has noted the game very short of memory, so further optimizations will be needed.